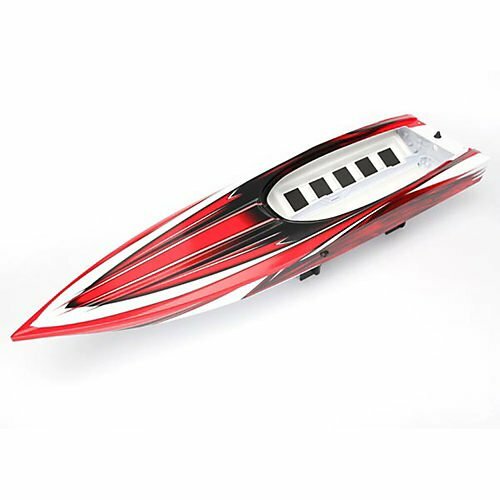 Product description This is a Traxxas Red Hull (without graphics) for the Spartan Racing Boat.Features:Red coloredMade of molded plasticComes without graphics, allowing racers to create their own color schemesFor the Traxxas Spartan Racing BoatIncludes:One Traxxas Red Hull (without graphics)Requires: Installing all components into and onto hull From the Manufacturer Traxxas has grown to become the number-1 selling name in RTR nitro and electric models for the last 4 years running. No one has done more than Traxxas to advance the RTR category with innovative thinking and fun designs that make it easy for anyone to get started in the great R/C hobby. Traxxas, truly the fastest name in Radio Control.